We’re always looking to discover the best travel tips from some of our favourite bloggers, so this month we reached out to a few to find out which items they can’t travel without and why. 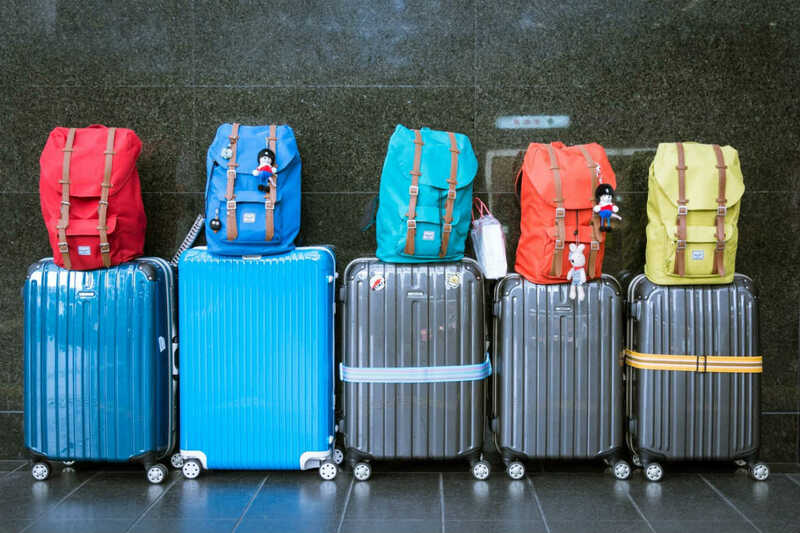 If you’re planning a trip away or are simply interested in learning some useful tips, check out which items top the bloggers’ must pack lists! When you’re traveling with family you end up with a lot of devices that need charging – phones, iPads, cameras and battery packs – some via powerpoint and some via USB. It can be challenge to charge everything without arguments, and no one wants to be negotiating who gets to charge their device first. I always travel with a multi-charger that charges several devices at the one time. There are many kinds of chargers like this, but our one has four powerpoint chargers and another four USB chargers on the one pack. The main plug is Australian, so I also carry an international adaptor. I just plug in the multi-charger and at any one time we are charging my computer, the iPad, my phone, camera and battery pack. It definitely makes life less stressful and everyone is responsible for hooking their own devices up to charge at the end of the day! 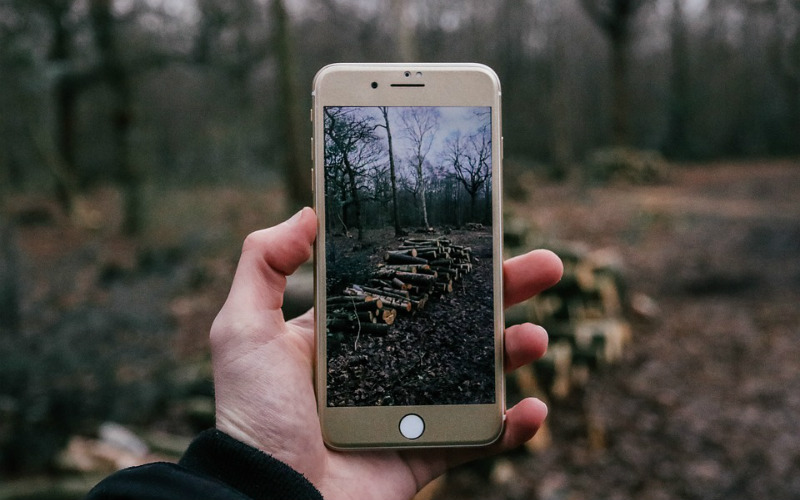 The one item I would choke on to leave at home is my iPhone, and not because I like to take selfies (which seems to be the hallmark of all bloggers these days), but because I use my phone for pretty much everything! Yes, selfies, *rolls eyes*, but also I use my phone for all my photography. I even went to Nepal last year and flew over Mt Everest and only had my iPhone to capture it. Admittedly it was because I had actually forgotten my camera, but in reality, my iPhone pics were pretty great. I update Facebook, Instagram and Twitter while on the road. I use Uber a lot, transfer money around and check and respond to emails from my phone, plus do research for everyday activities like where I might want to eat tonight! My biggest conundrum is which model to upgrade to as I’m due for a freebie – iPhone 8 or X?? (I do envy Samsung photos though, but I’ve been a Mac girl since the old “Classic” computer of the ‘90s and even had the clamshell laptop, so Apple is as ingrained in me as being a Kiwi. I can not travel without my trusty little sidekick – Tiah, my 6 year old travel companion. Seeing the world through her eyes and watching her learn and grow while sampling what the world has to offer is the most rewarding travel experience for me as a parent, but also as a storyteller as I always have a fun subject to work with. There are challenges of course, but we tackle them together and, when we can, we bring the rest of the family along too! I have older kids (technically adults now), and they grew up travelling with me also, so I have seen firsthand the wonderful opportunity travel can offer a child. There is the connection to the world around them, the opportunity to develop a deeper understanding of its issues and differences, a chance to revel in its beauty and the best part, be completely swept up by its endless inspirations. Tiah looks forward to travelling as much as I do, is a keen and (touch wood) well behaved frequent flyer, and has an appetite to try new things. She also does not mind being my subject for photos, so all round, she is the pretty ideal travel buddy. The first things that we pack into our suitcase, and the things that we cannot travel without, are our Kindle book readers. Now, these little gadgets have saved our lives a few times! Well, maybe not exactly saved lives, but they definitely helped us pass the time on numerous occasions. Imagine flights without TV screens, or nights in hotels when kids are trying to sleep and you need to stay relatively quiet. We have even used them whilst relaxing in beach hammocks in plenty of exotic destinations that we visit. Kindles rock! 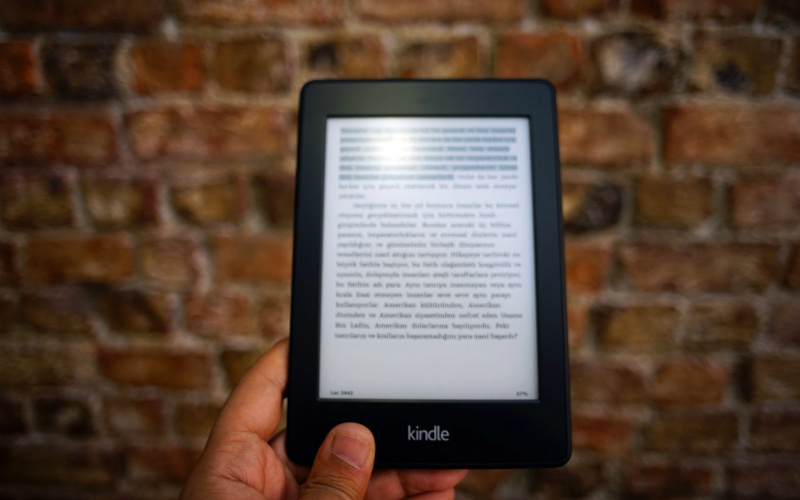 Well, to us, the e-readers have a permanent spot on our travel gear list and we would definitely recommend one for you too! Even if our family isn’t heading to a dreamy palm-fringed island in the topics, our swimsuits are easily our most overworked luggage items. From a relaxing soak in hotel hot tubs or swimming pools, to impromptu dips in lakes, waterfalls or hot springs after a hike, packing a swimsuit allows a range of experiences that are often a trip highlight whether we’re travelling for relaxation, adventure or both! Plus a swimsuit takes up virtually zero room in suitcases or daypacks. Better still, the simple act of packing a swimsuit can often enable us to keep our children (and therefore us parents) a little saner on the road. Like most kids our boys are total water babies, so any opportunity for a good swim seems to completely reset their mood and energy levels after a big day of exploring or being stuck in transit. That’s why even on the shortest layovers, we never step off a plane without a swimsuit for every member of our clan, a light easy-dry towel and a wetbag inside our carry-on. Lightweight reusable water bottles are our absolute must have travel item when travelling with kids. 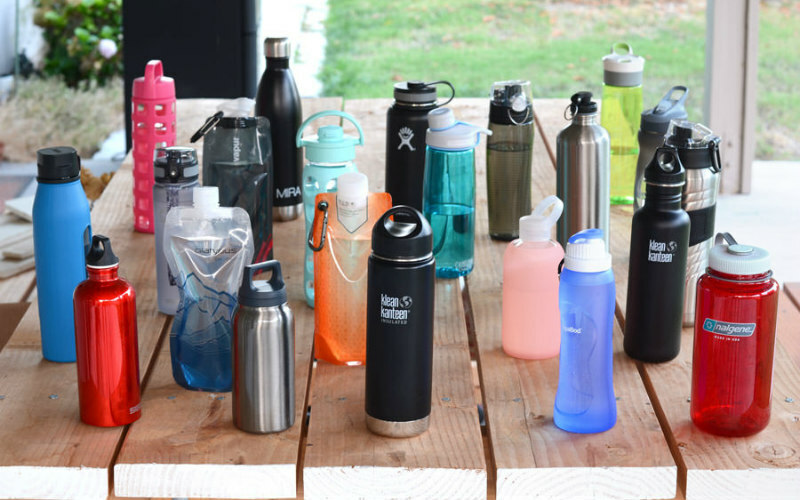 We’ve tried them all – hydration pouches, metal bottles, straw bottles, cheap and really expensive ones – and the Contigo Hydration Autoseal Water Bottle is the best, chuck out the rest! We love them as they are BPA free, super light weight, 100% leak proof and fills a decent amount (709ml) of water without being too heavy for kids. They have broken on us but that was because of the bottle flipping phase which it wasn’t designed for – needless to say at $20 I put an end to that real quick. Stay hydrated on long-haul flights and on big day trips when travelling. We love that it has two simple pieces, a lockable spout, a mouth piece that you can cover up for extra hygiene safety on the go and a clip so you can you grab a hold of the bottle easily and clip it to the front of your day pack. Image Credit: Your Best Digs / CC by 2.0. When I’m travelling, I never leave the house without bringing along my mirrorless camera and a spare memory card. I use the Sony a5000, although there are a lot of great options out there. I love the mirrorless because it’s compact and easy to carry around all day, but also takes DLSR quality photos. As a travel writer, I feel photos really convey the essence and beauty of a location, so having high-resolution photos to help tell the story is key. I’d recommend shooting in RAW format, as it gives you the most freedom in terms of photo editing, allowing you to create stunning photos perfect for social media, blog posts, or your travel scrapbook. Ready to set out on your own family adventure? Find and compare cheap flights, hire cars, hotels and more with Webjet today!